Beat the Heat : 5 Skincare Essentials! There are some women who will have a bathroom cupboard full of skincare products while some are quite happy to go with just a handful of essentials. While we all have unique skin concerns there are some skincare basics that every woman should have with her. So here we suggest you 5 skincare essentials you must have in your bag this summer! Dry, cracked lips are a bitter reality that each person faces. And, with the summer heat and windy days, it’s even worse. A lip balm with a slight SPF is ideal for the dry summer weather. And, you can even go in for a tinted lip balm, which will not only protect your lips, but also add colour to them. Get a kajal or kohl to highlight your eyes. It instantly transforms your eyes into energised and bright ones. With the burning heat, your body tends to sweat a lot, and in order to fight against the sweat and odor, you can use a refreshing body mist. The mist will keep you going by making your feel refreshed with the lasting fragrances. An oily face is sure to leave a bad impression and it is also very irritating. 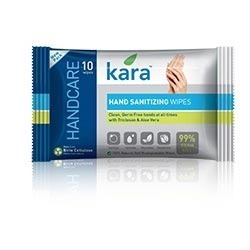 Therefore,n try out the oil absorbing sheets/wet wipes that are easily available in the market. Just a swab from these sheets is sure to leave you feeling fresh all over again. You should definitely have these in your bag. In this hot climate, you need to get your hands on the ideal sunscreen lotion, cream or spray as per your skin type. Also, if you are heading out in sun without a sunscreen is never a good idea! You will be damaging your skin and are surely going be left with a lot of unwanted tan that can cause some serious sunburns! Sunscreen definitely tops our must-have-in-your-handbag list this summer!